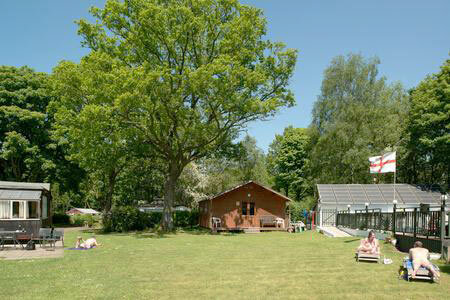 Naturist Campsite open to visitors for camping and caravanning. Facilities include electric hook up, heated pool, sauna, hot tub, 2 miniten courts, kiddies playground. There is a fully equipped kitchen. Handily situated for Southport, Liverpool and Blackpool. March 2017 we enjoyed 3 days break. We were given a very warm welcome and made to feel at home. We were welcome to use the kitchen facilities, showers and toilets which were immaculate and the hot tub was delightful. The pool hadn't been cleaned for the summer but weather wasn't good enough anyway. Our only criticism would be that you have to take all your own rubbish and waste home which is fine but we could have done with knowing as soon as we arrived. The lovely people made this a fabulous visit, we would definitely recommend this site. I was made very welcome by the club members I met there. The club facilities were free to use, the grounds are well maintained, as is the kitchen area, where I was free to cook and prepare my food. I will be staying there again next year during my northern travels, when I would like to re-kindle my friendship with the members again. My thanks to Ron, who was my first contact on site and to everyone else I met. Contact before arrival was great and we received good directions and access is easy even for a large motorhome. We were made extremely welcome from the moment we arrived. Members introduced themselves to us and were very friendly. Facilities area great with an outdoor swimming pool, lovely indoor jacuzzi, sauna, TV lounge with sky TV, 2 new toilets and showers plus an old shower and toilet block due to soon be replaced. The main clubhouse is a large area with kitchen available for you to use and lots of seating. Functions were put on as we visited during a bank holiday weekend. Outdoors are boules, miniten and other sporting opportunities. This really is a little gem in our opinion and very fairly priced. Certainly plan to go back next year and stay even longer. Whatever the weather there is plenty to do and you will be sure of a wonderful welcome. What is your experience with "Lancashire sun"? How do you rate Lancashire sun in general?